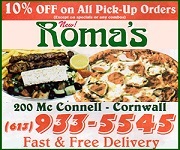 Cornwall Ontario – So I was having a beverage with a gentleman I was expecting to run for mayor of Cornwall Ontario. He was bright, successful, connected to the community and had the gift of gab. He was clearly far superior to the only person to put their name forth so far, one David Murphy, who essentially is a vapid petty mouthpiece for the Benson Org and their friends, and whose record clearly was a disaster, and we won’t even bring up his #metoo allegations of hitting on his students while teaching at St. Lawrence College. Clearly we should be able to do better, but we don’t appear to. While it’s easy to point out the cowardly refusal of council to pay council and the mayor a representative amount; pretty much a concession to their failures and lack of value to the community, the reality is that good candidates will not step forward. The gentleman I spoke with would be giving up over 75% of his income to step away from his current job if elected mayor. You have to have a major commitment to Cornwall to do that. We need to do the right thing and raise what we pay for those that make the decisions about what we pay in taxes. We simply need better candidates. Likewise, even if a candidate makes that commitment it’s simply not easy to get the word out. Media corruption in Cornwall means that other than this newspaper it’s hard to get your message out unless you pay through the nose or are connected to their masters. Hugo Rodrigues for example has refused to allow me to share on important issues in the Freeholder as I did run for mayor in the last election, and on a platform to tackle our tax issues. He also was moderator of a debate that never saw the public as the Social whatever committee refused to show the video of me utterly destroying and embarrassing Bob Kilger as we dueled mano a corrupt mano. Kilger was clearly out of his league debating wise which wasn’t an easy task, and in most cities would’ve been front page news. Nary a peep out of Hugo or the Freeholder. Hugo also knows who had the most action in his online Q&A for mayor. I’m personally under pressure to run, but last time I ended up in jail and the hospital while being abused by the other local media. Cogeco is the worst, but then with cable cutting how many people even watch Cogeco local video any longer? So what we end up with are some retired retreads wanting to top up meagre pensions, grocery store clerks with a desire to be political clerks, and some strange weirdness candidates. There are some potential voices so far, but people have to understand that you can help your community in many ways and that being on council may not be the best route as Carilyne Hebert has seen. Or you get career opportunists like Flipper and Justin “One Term” Towndale who just want to use council as a stepping stone to appointments and partnerships in local businesses. Being on council is essentially being on the board of the largest corporation in this community. It shouldn’t be because this person is nice, or they go to the same club. It shouldn’t be a popularity contest. It’s about leadership and this writer has seen a huge vacuum of that from council since I moved to Cornwall in 2004. 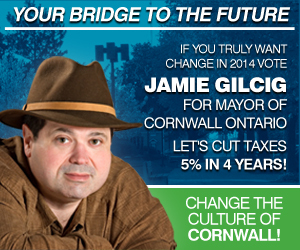 Right now Cornwall is facing a clear need for change a City Hall. We need a new CAO. We need a real Economic Development crew. We need actual accountability at City Hall, and we need to become more business friendly and get a grip on runaway labour costs that have led to our tax levy, which is the actual total of taxes taken from our pockets rather than voodoo formulas to make it seem less, rising about a WHOPPING 20% per term for the past two terms. You simply can’t up your expenses by 20% every four years with revenues not following. There are solutions as we’re just starting to see under the new Doug Ford Provincial government. Some of those some sentiments need to be applied here in Cornwall. A local business person cajoled me to run again. They even offered to take me to their tailor in Montreal and have a hand made suit made if I’d agree to run. While the gesture was lovely (I do own a few suits already) I explained that just looking at the lack of local support for this newspaper made me skittish to run again. It’s expensive and draining. And in Cornwall if you tell the truth you can take a big beating. Those in denial don’t like to be confronted and it interrupts them from bullying others and being bush pigs, or even worse, two faced hypocrites who want to be seen as kind and helping the community when their cowardice really does the opposite. What I do know is that if a community doesn’t properly support its only real lifeline to public truth then it probably wouldn’t support a candidate for office who wants to actually get a grip on our ballooning taxes and make our community become inclusive, and attractive to business and growth. We know the current regime is opposed to those things so the question becomes why would the public agree with such silly corruption and ignorance? I haven’t made a final decision yet. Maybe it’s time for some of you dear CFN viewers to convince me one way or the other as we know that CFN viewers will decide who’s elected as they pretty much did last election. I’d vote for you. The only option we have now is David Murphy. The thought of him as mayor, frankly, scares the bejeebers out of me. As for council pay as it’s a p/t job outside of the mayor’s position the pay is fine. And losing their 1/3 tax exemption should have happened years ago. Not many people get expense accounts AND tax free income. Why should city council? Hugger I want you to think about this for a moment. First off the tax exemption is gone not that it was a major issue. But do you want your future community decisions decided by people earning $17 per hour? There’s nothing dishonorable or wrong with earning $17 per hour, but these people are steering a $200M ship including decisions like our waterfront, emergency services, and how much legal cash to burn though attacking their largest newspaper. Just let all that sink in…. I want the best qualified doing the job that are willing to come forward. If they’re using it to just pump up their pensions perhaps this isn’t for them. I know I don’t want Samson or Gardiner in there. Perhaps a pay increase isn’t such a bad idea. There is a lot smart people in Cornwall, with integrity, that would make excellent leaders yet we seem to only be attracting people hungry for the so called fame that comes with it. City Hall is a mess. Our political leaders are clueless, the CAO appears to be challenged by everyone below her and it looks like will be be getting another clique Mayor. The pay issue has sailed. With council about to enter their lame duck phase they can’t pass pay raises for the next council. And as the new council can’t give itself a raise (political suicide at its best) it won’t get one. The best the new council can do is give the next council, starting in 2022, a pay hike.